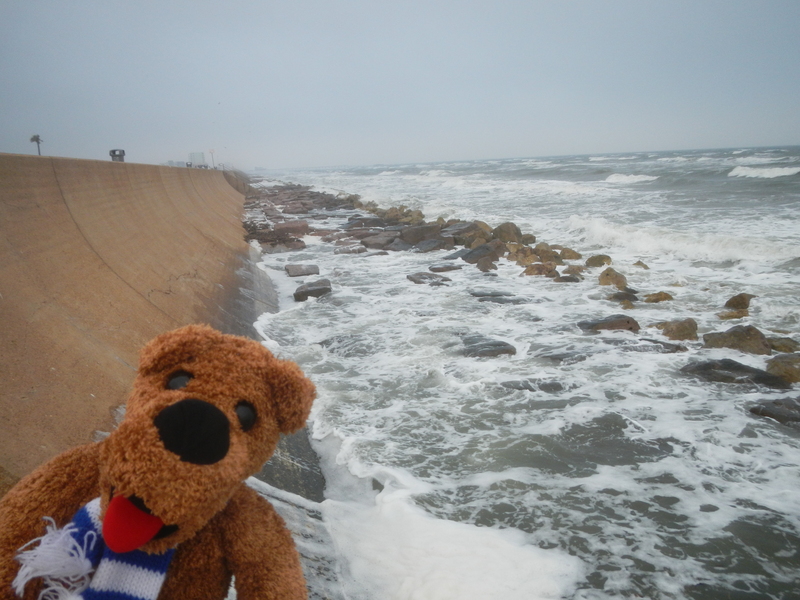 Wednesday was split at the conference into morning talks on “Case Studies and Carbonate Environments,” and an afternoon fieldtrip on Galveston Island. The seven morning talks ranged from discussing modeling for sea-level rise to the response of hard rock cliffs, to drowned barriers to atolls, to coral reefs to oyster reef formation. Having attended University of Miami-RSMAS for graduate school, I was well-prepared for the topic of carbonates (that’s a group of sedimentary rocks)! Already 19% of the world’s coral reefs have effectively been lost; and 35% more are seriously threatened with destruction, mostly due to direct human threats. 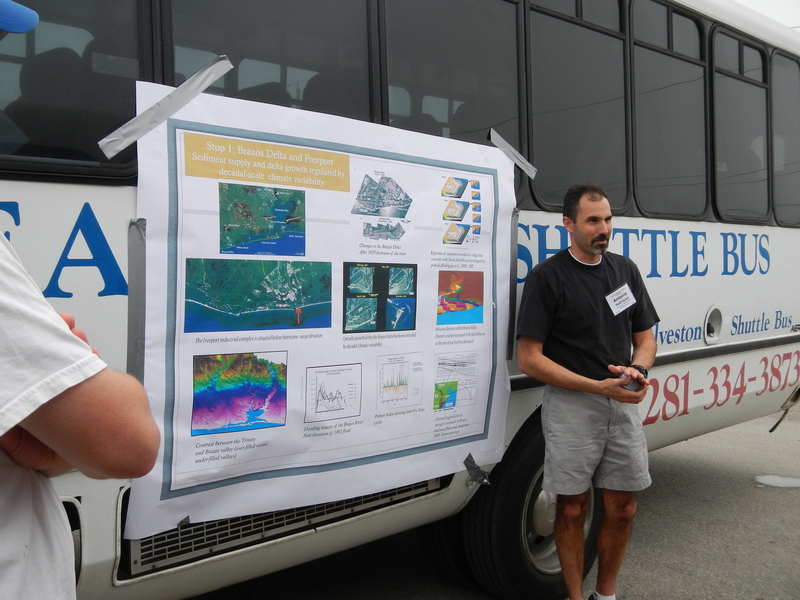 Lecture in the field – complete with a poster, the side of a bus, and duct tape! Next up for Day 4 – combining field results and numerical models, and then we venture into unchartered territory for many of us scientists – integrating science and policy.